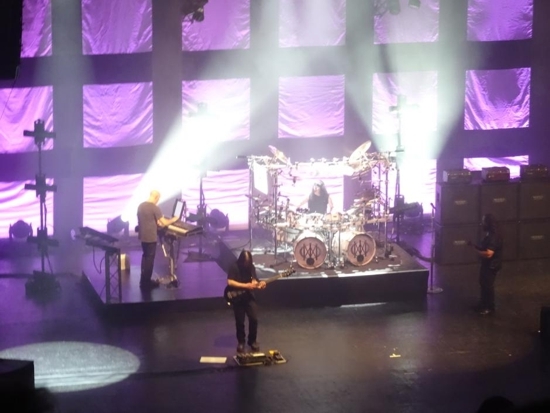 Dream Theater are not your archetypal Rock band and at times this evening the audience seemed to be subdued; that is, to the uninitiated, as they were just simply mesmerised by the band's stellar performance. Surprisingly, the Apollo was not completely full; ever-increasing ticket prices and being mid-week may have been a couple of contributing factors. Fortunately, this was a bonus gig for me as I purchased my ticket with a voucher that my work colleagues had very kindly bought me for Christmas. 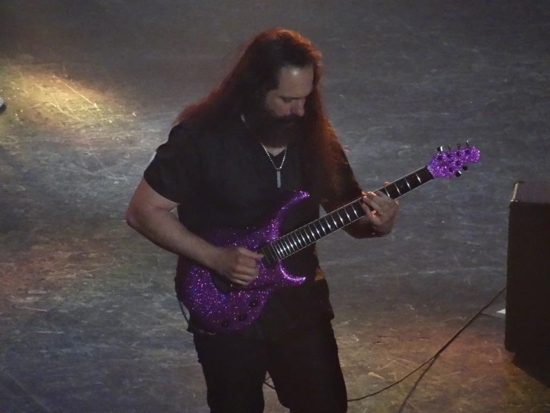 Following a long intro ('The Colonel') the five protagonists arrived on stage with the first spotlight to fall on guitarist extraordinaire, John Petrucci, as he played the heavy riff to the start of 'The Dark Eternal Night' from 2007's 'Systematic Chaos' album. The stage itself was very minimalistic, juxtaposed to the gargantuan sound being made by the band; add the myriad of flashing lights to the mix and it was a powerful, spectacular start to the evening. 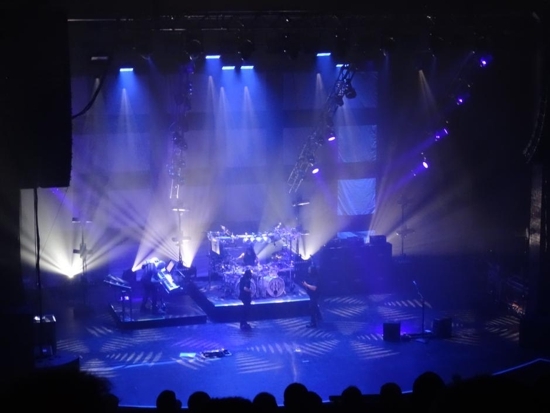 The sound and mix were both good but not quite as clear and crisp as the last time I saw Dream Theater, at the same venue, supporting the then newly released self-titled album. From the latter opus, 'The Bigger Picture' highlighted the band's more melodic side. Listening to the fantastic instrumental 'Hell's Kitchen' it was clear to hear the influence that the holy triumvirate Rush have had on Dream Theater. Next up were two songs from last year's ambitious concept album 'The Astonishing' – 'The Gift Of Music' and 'Our New World'. 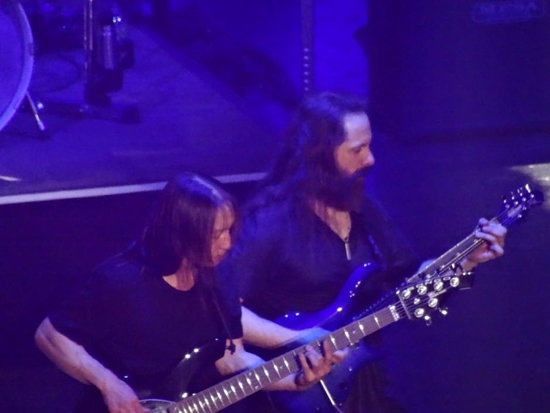 John Myung is undoubtedly one of the greatest bass players on the planet and watching him on stage was utterly spellbinding; however, his solo spot and tribute to his idol Jaco Pastorius 'Portrait Of Tracy' was frankly boring, even if it was technically brilliant. The latter was in stark contrast with the highlight of Act One, the thunderous Metal of 'As I Am' with its Metallica-style riff; no surprise then that the band effortlessly bridged into 'Enter Sandman' by the Bay Area's finest. 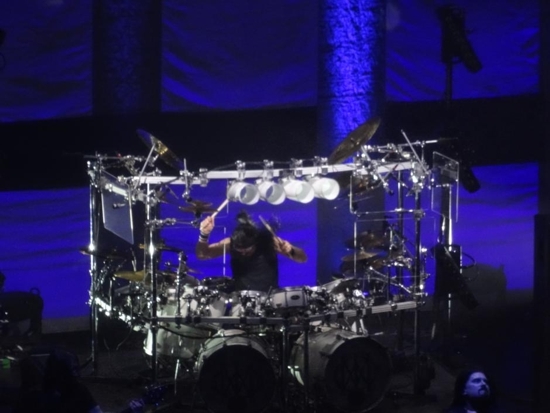 'Breaking All Illusions' from 2011's 'A Dramatic Turn of Events' (the first studio album to feature drummer Mike Mangini) brought the eclectic Act One to a close. Following a twenty minute break, the band returned for Act Two and the main event, a complete run through of their seminal 1992 album 'Images And Words'. The intro tape featured sound bites of the popular bands of the period – Pearl Jam, Nirvana, The Cure, Alice In Chains etc. – before the start of the sublime 'Pull Me Under'; this was my first (and probably many other fans) introduction to Dream Theater. I was immediately hooked. 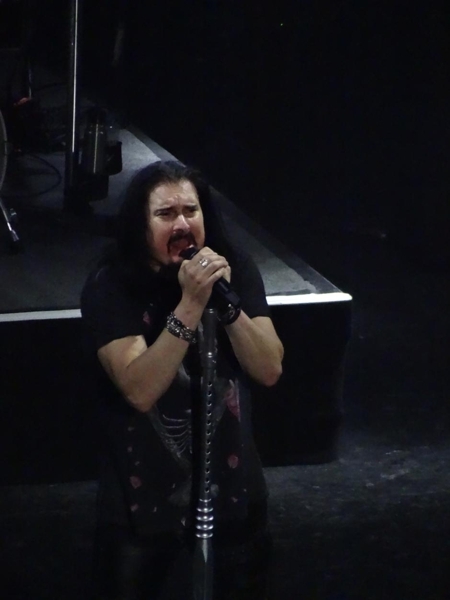 James LaBrie made special mention of ex-journalist and A&R Derek Oliver for him championing the band's release at the time. Fortunately, this song was picked up by American college radio otherwise, as LaBrie stated, without which, the band may never have carried on. If there was one minor criticism of Act One it was that it was little too clinical, but, with LaBrie taking the time to speak to the audience in the second half, the latter issue was addressed. 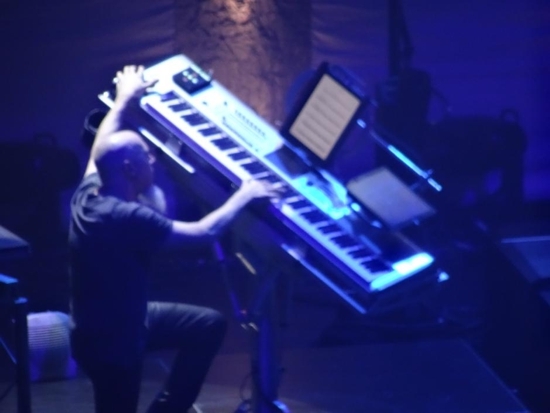 The beautiful 'Another Day' featured an extended outro solo by keyboard wizard Jordan Rudess before LaBrie got the crowd involved in the Rockin' 'Take The Time'. The hairs on my arm stood on end at the start of 'Metropolis Pt. 1: The Miracle And The Sleeper' which was ten minutes of pure genius; it also included a drum solo by Mike Mangini during the instrumental break. If you were to play someone who had never heard them before only one Dream Theater song, then this would be my choice. It featured everything that is so great about the band; melodies, riffs, harmonies and more time changes than a return flight to Australia from the UK. Although not hitting the high notes that he did twenty-five years ago, LaBrie's voice held up pretty well over the three hours and was particularly good in the quieter, more melodic, parts of the show. You do have to feel sorry for him as he undoubtedly has the hardest job in the band full of ridiculously talented musicians. I have to say I was quite surprised that the band did not utilise videos in their set; instead they were just happy to let the music do the talking. The band returned to the stage for the third and final time for a twenty-five minute encore which comprised of 'A Change Of Seasons' in its entirety. The latter encapsulated all that had gone on through the first two acts. One major bone of contention with the event tonight; £30 for a t-shirt was just outlandish, especially considering we that had already forked out the money to come to the show. The latter is just playing into the hands of the unofficial merchandisers. 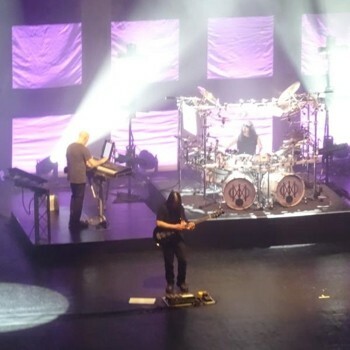 As I began this review, Dream Theater are not your conventional Rock band and at times this evening the intensity of their performance was off the scale.